Join us in San Diego to experience the secret of SOMA Breath that is sweeping across the world. Create your reality and reprogram your mind to choose LOVE over FEAR. SOMA stands for the Science Of Magnetic Attraction, and during this one day ecstatic journey of community and connection we will use the power of breath, rhythmical euphoric music, dance, meditation, ancient himalayan yoga, and we will collectively raise our vibration and create a vivid emotional blueprint, commanding your subconscious mind to find a path to your achieve your goals. We will elevate our L.O.V.E (level of vibrational energy) to ecstatic states to burn away limiting beliefs and step into our full potential as infinite creative beings. Through the power of SOMA Breathwork, yoga, dance, inspirational talks, deep meditations and other amazing activities, you will supercharge your vision for your perfect future and power it up by raising your vibrational energy throughout the day. 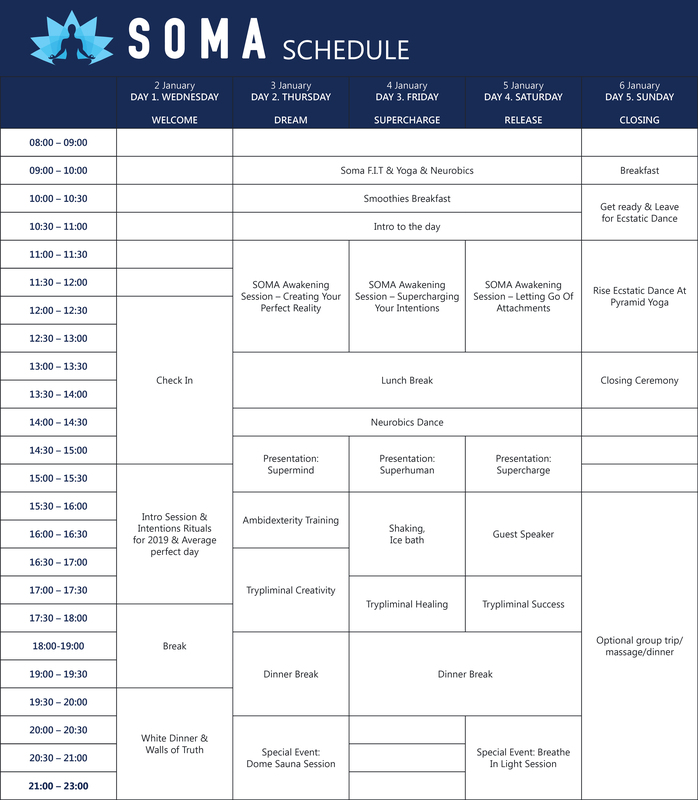 Join us in San Diego California on this one day SOMA Intensive Breathwork Experience. This epic day is the kickoff event for the Soma L.O.V.E Tour throughout America. This high energy day is in partnership with Wellness Force. At SOMA, we use breath as medicine, and when you learn to change your breath, you can change your life in ways you never imagined possible. This transformation day will include yoga, breathwork journeys, ecstatic dance, manifesting rituals and other high energy activities that are all focused to raise your vibration to ecstatic states so you become a portal for creating the life of your dreams. Steven Whitney is one of SOMA Breath’s Master Instructor and one of the most experienced facilitators and coaches. Steven teaches students how to use their breath to tap into their true potential, release limiting beliefs and negative imprints, and let go of any conditioning that might be holding you back from living your best life. He has taught more than 250 students online and guided sessions for upwards of a thousand in person to step into their light and become the ultimate creator of their reality. When he found himself in a deep depressive state, it was returning to his breath that awakened Steven to his soul’s purpose: empowering others to unlock their true potential. Steven believes that each person has everything they need to achieve anything in life inside them already - he merely helps people unlock them for themselves. Steven wants to empower people to find their souls purpose and mission through using SOMA Breathwork and inspire them to take action in going after it. He believes that if you change your breath you can change your life. The Awakening is a powerful intention setting breathwork practice that will help create unstoppable momentum, motivation and drive to reaching your goals. Discover your true self, experience inner bliss and learn to control your emotions with guided hypnotic visualization meditations accompanied by SOMA brainnwave entrainnment music. Taught by world class instructors you will learn simple yoga routines that have maximum impact and fit into a busy schedule. This technique is also a powerful self hypnotic tool for seeding your intentions deep into your subconscious mind, programming your brain stem to tune into the frequency of reality that is essential for you to reach your dream life targets. Be prepared for a life full of positive surprises and synchronicities when you begin your journey of awakening to your full human potential.